The team was one of the best performing of the show, winning no less than six Loeries, including one of just four Grand Prix awards made over the weekend for its inspirational #RainbowNation activation during Freedom Month. and a case study film here: www.fcb.com/our-work/20-years-of-democracy. The Loerie Awards Show is South Africa’s premier advertising and marketing communication event. Internationally recognised, it is the only award endorsed by the Association for Communication and Advertising (ACA), the Brand Council South Africa (BCSA), the Creative Circle (CC), and other professional bodies making up the marketing community. Winning a Loerie – Bronze, Silver or Gold – is regarded as the highlight of any agency’s year; winning one of the scarce Grand Prix often as the highlight of a creative team’s career. Commenting on the achievement, Coca-Cola South Africa’s Sharon Keith said it was the proverbial pot of gold and the end of a very rewarding year for the Coca-Cola/FCB Joburg team. “Our vision with #RainbowNation was to go further than reminding South Africans of our heritage during Freedom Month,” she said. “We wanted to create a symbol of our diversity and celebrate the fact that as a nation we have come so far. Coca-Cola aims to inspire moments of optimism and happiness, and rainbows can do both. “Our cityscape is littered with outdoor communication. Our ambition was to be able to break through the clutter and give a meaningful experience to commuters and passers by. Global trends in out of home media have seen some interesting utilisation of technology but the power of this idea lay in its absolute simplicity. 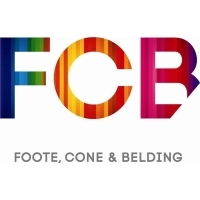 We created a real rainbow to celebrate the rainbow nation’s achievement, and it evoked delight in all who saw it,” added FCB Joburg’s executive creative director, Jonathan Deeb. “Working with Coca-Cola South Africa has been an exciting and enriching experience – not only because of the riches in terms of accolades we have reaped. It’s been a meeting of professional minds and a melding of creativity. I’m incredibly of proud of what Coca-Cola and FCB Joburg have achieved together. Thank you to all in the teams at Coca-Cola and FCB who helped make the moments of #RainbowNation happen,” he said. FCB Joburg also won three Loeries for its radio work for Toyota South Africa and Lexus, FCB Cape Town won a Bronze Loerie for its radio work for Savanna Dry and a Bronze Loerie was awarded to FCB South Africa/Hellocomputer for the ‘Labello Electric Kiss’ activation entered in the digital & interactive – applications activations and interactive tools category.